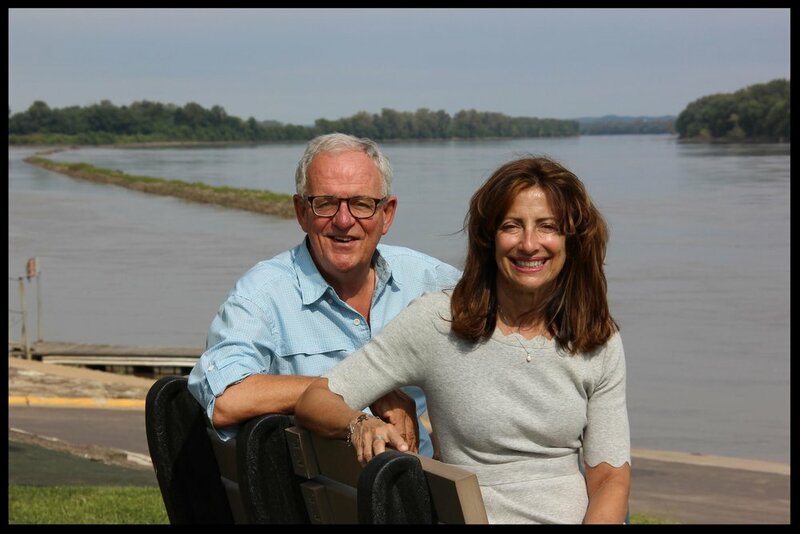 Dan and Connie Burkhardt -- advocates for, and true friends of, the Missouri River valley – have written a book for young readers, Growing Up with the River: Nine Generations on the Missouri. Illustrated with original paintings by one of Missouri’s leading artists, Bryan Haynes, the book takes a brief look at each of the nine generations that have grown up in different communities since Lewis and Clark plied the river for their epic Voyage of Discovery. The last 100 miles of the longest river in America capture many stories of both the growth of our country and the accompanying changes in the river and environment. The children in these stories experience these natural and cultural changes, as does another pivotal character, a mythical Bur Oak tree that stands near the river after an acorn was planted in 1806. The Bur Oak is one of the grandest of all Missouri oaks and one of the longest-lived trees in the state, living up to 350 years. Dan Burkhardt has also created two coffee-table books on two very different watersheds -- Missouri River Country: 100 Miles of Stories and Scenery from Hermann to the Confluence (2013) and Florida Bay Forever: The Story of Water from the Everglades to the Keys (2013). The Burkhardts live in St. Louis and on their farm near the Missouri River with a herd of fifty cows and several flocks of chickens.